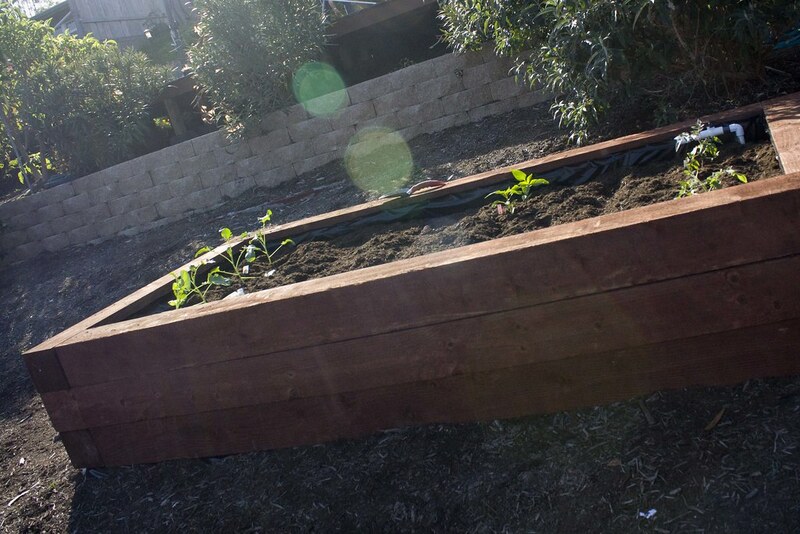 Creating a vegetable garden in your yard can be a fun and exciting undertaking. You'll get to grow a variety of different plant and you'll also reap the benefits of eating the freshest possible foods. It can be very rewarding but also a lot of work so be sure you have the time in your schedule to tend to your garden before you build it. Take the time to plan your garden. Choose a space in your yard that has enough sunlight to accommodate the kind of plants you want to grow. Most vegetables need about six hours of sunlight a day. Another thing to consider is water. Your veggies will need a healthy amount of water to grow and give you a good harvest. If you already have plumbed waterlines that operate in your yard, you could run a drip irrigation system to your new bed. If not, a hose works just as well but just remember to water your seedlings at least every other day and possibly more often as the summer sun begins to heat up. Lastly, and most important for me, is garden pests. Are there a lot of squirrels, rabbits and gophers in your area? You may want to put some wire mesh at the base of your bed to stop animals from burrowing under your garden. 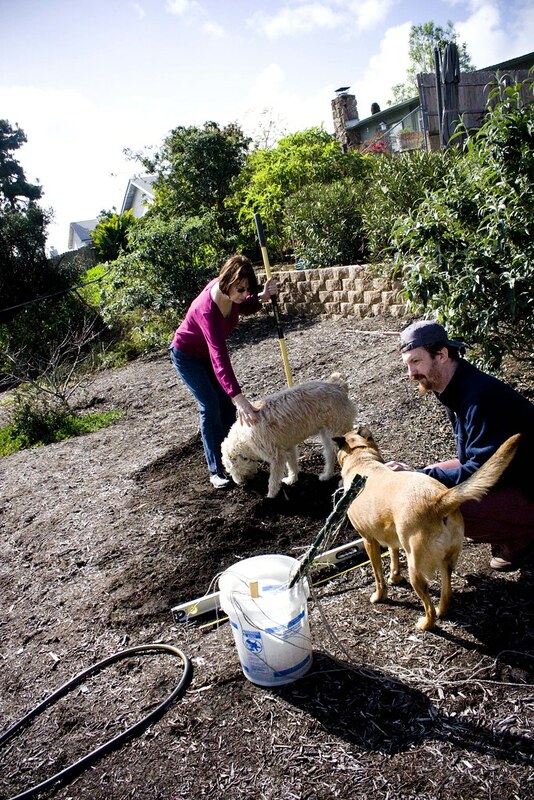 Do you have dogs that like to dig? I have two dogs that love to run and that is the main reason this bed is 18" high. Take the time to consider your life and your yard before you rush to the store, you'll be happier in the long run that you took the time to plan the garden that works for you. Now that you're ready to get planting, here's everything you'll need. 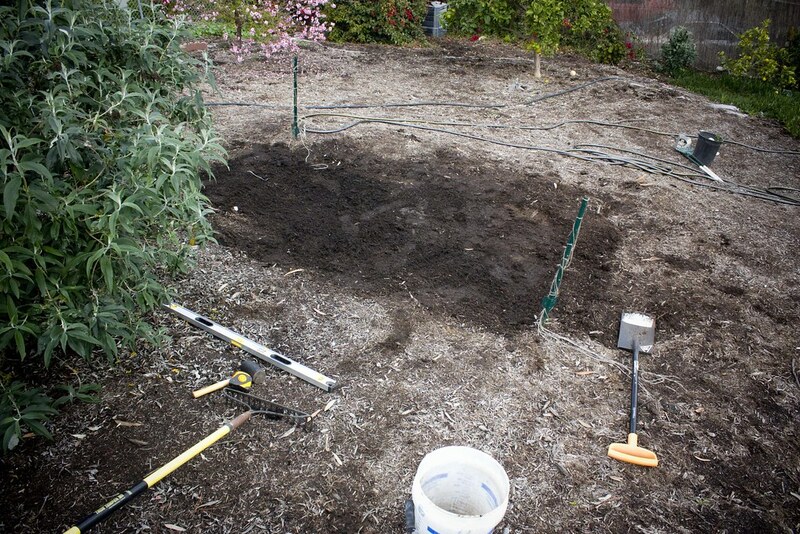 18" drill bits, 1/4" and 1/2"
To begin the raised vegetable bed you will need to create a level space in your yard that is large enough to accommodate your new garden. We chose a fairly flat space near the bottom of our yard. We measured the space and roughly staked out the area we planned to level. Using a metal rake we and the 4' bubble level we evened out the area where the boards would eventually sit. And as you know, a job can't be done around here with out the help of two furry friends. We finished up the leveling and measured out exactly where the boards would go. It's a good idea to place your stakes in each corner then measure each edge and then measure corner to corner. This will help ensure you have a squared and even plot of land. See Part 2 where we cut the boards and build the bed.